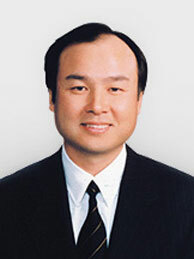 Ranked by Forbes as Japan’s fifth richest man (he made his first million while still a university student in California) Masayoshi Son is the chairman of Japanese tech investment firm Softbank. The company portfolio includes a 40 per cent stake in Yahoo Japan and a multiplaycommunications offering that includes Vodafone’s former Japanese cellular operation. Son also chairs the Joint Innovation Lab, an application development collaboration between Vodafone, China Mobile, Softbank and Verizon. Between them the four carriers have more than one billion customers across the world and so the output of the JIL, which was formed in April last year, could have a major impact on the global mobile scene. 2009 has seen the application store become the new battleground for industry stakeholders vying for customer relationships. Of the operator-led initiatives that are going toe-to-toe with solutions from handset vendors the JIL has the largest reach. The founders of the JIL look to be pushing webbased widgets rather than applications, with Vodafone’s launch in the spring of a widget developer programme shedding the first light on the JIL strategy. Aside from steering the JIL, Son continues to look for investment opportunities to further his reach. He is known to be keen to invest in the Chinese digital media sector.